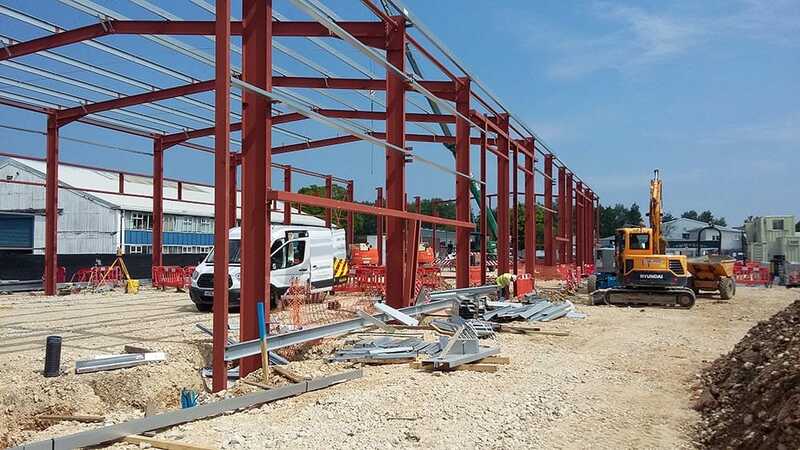 Work is well underway on site on a development project that will see increased industrial space on the south side of Chichester. Ravenna Point will include six high quality light industrial units and additional parking. Work is due to be completed on the new units by October 2018, which have been commissioned by Chichester District Council to support local businesses. As well as encouraging business and providing new employment in the district, the scheme will also help generate rental income for the council, helping to protect key services for residents across the district. Councillor Tony Dignum, Leader of Chichester District Council, said: “I’m very pleased to see this excellent new facility taking shape so quickly. One of the key aims of this scheme is to improve the area’s economy by attracting new employers. It could also provide an opportunity for existing businesses in the area who are seeking to expand and move to new premises. A photograph below taken on a lovely sunny day on site as works progress.